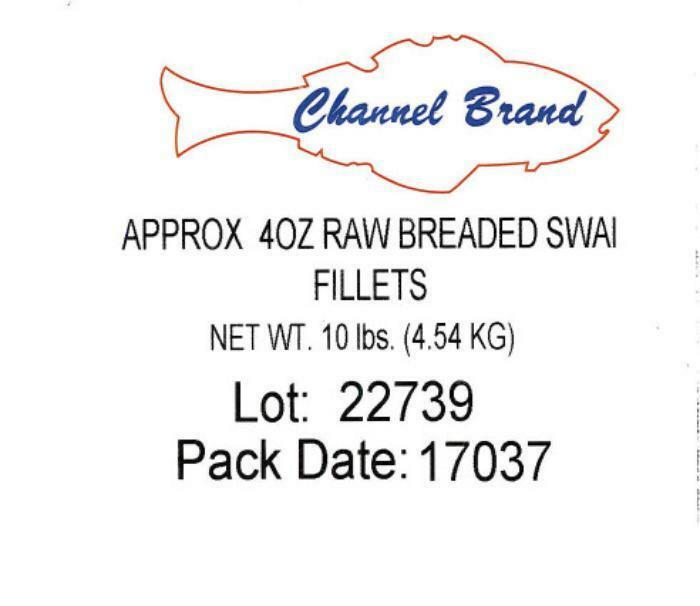 Channel Fish Processing Co., of Boston, Mass., is expanding its earlier recall of breaded Swai fish products. 10-lb. corrugated box of “Channel Brand APPROX 4OZ RAW BREADED SWAI FILLETS,” with a lot code of 22739 and date code of 17037. 10-lb. corrugated box of “Channel Brand APPROX 8OZ RAW BREADED SWAI FILLETS,” with a lot code of 22740 and date code of 17037. The earlier recall was for 840 pounds fish produced on February 22, March 20, and May 2, 2017. 10-lb. corrugated box of “North Atlantic BRAND APPROX8OZ RAW BREADED SWAI FILLET,” with lot code 23445 and a date code of 17122. 10-lb. corrugated box of “North Atlantic BRAND APPROX4OZ RAW BREADED SWAI FILLET,” with lot code 23114 and a date code of 17079. 10-lb. corrugated box of “Channel Brand APPROX4OZ RAW BREADED SWAI FILLET,” with a lot code of 22888 and date codes of 17053 and 17054. All recalled products were shipped to institutional locations in Indiana. Customers who purchased the recalled products should not consume them. But throw them away or return them to the place of purchase. Consumers with questions may contact Steve Atkinson or Bill Hurley at (617) 464-3366.